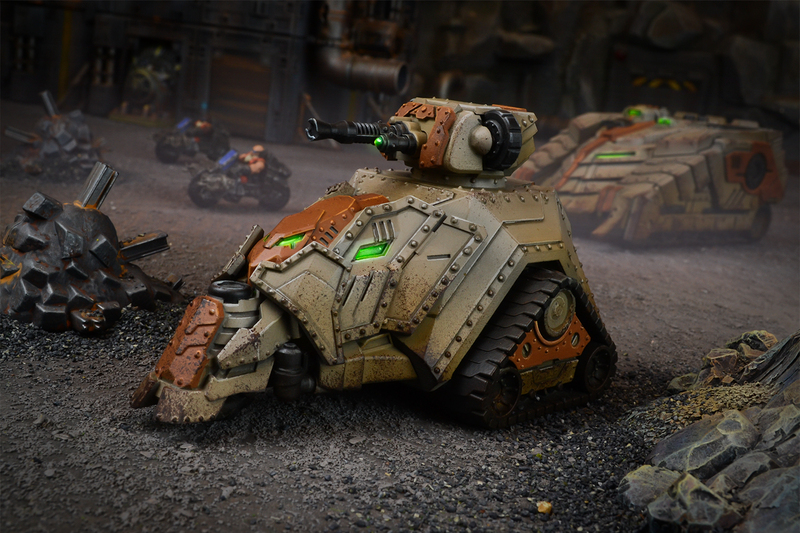 August is an exciting month for Warpath fans, as it sees the release of brand new hard plastic vehicles from Mantic Games. Whether it’s the Enforcer Interceptor soaring over the battlefield, or the heavily armoured Forge Father Sturnhammer rumbling across terrain; the introduction of vehicles promises to open up a totally new dynamic to Warpath. 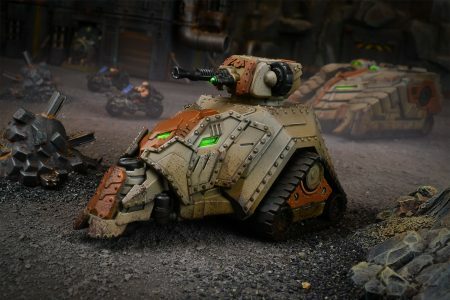 These releases will be some of the most affordable sci-fi vehicles on the market, once again ensuring Mantic’s reputation for offering great miniatures at a fantastic price. In Warpath, you take command of entire units, as you plan your tactics to claim strategic objectives and carve a path to victory! 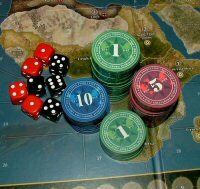 The game has been designed to play massive sci-fi wargames on an epic scale, with 100s of miniatures lining the tabletop, but the intuitive rules ensure gameplay is still exceptionally fast and fluid. Armed with a main battery of Heavy Hailstorm Cannons and clad in armour capable of withstanding all but the most powerful and well-placed blasts, the Sturnhammer inexorably carries the might of the Forge Fathers to war. 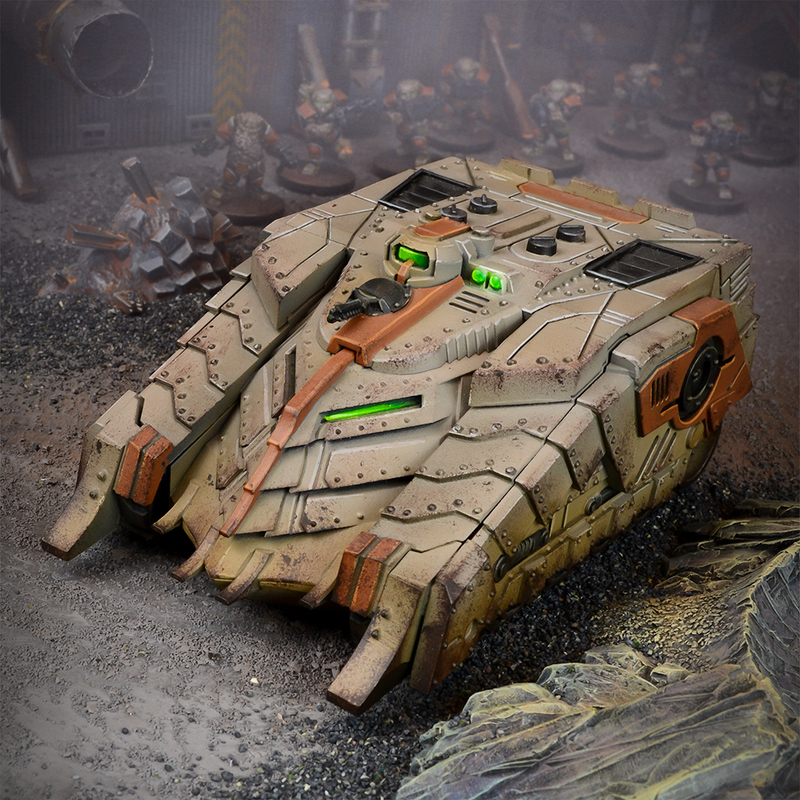 The Drakkar’s sloped, reinforced armour makes it one of the toughest troop delivery vehicles on any battlefield anywhere. 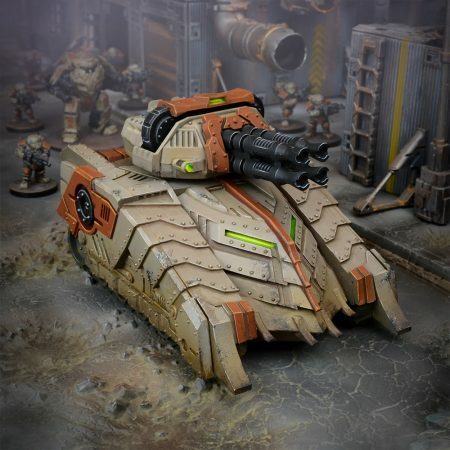 With a Hailstorm anti-personnel weapon to discourage any assailants along the way, the vehicle is an extremely safe and reliable transport for platoons of Steel Warriors and Forge Guard. The Galactic Co-Prosperity Sphere’s most advanced military demands equally advanced air support. The Accuser and Persecutor wings fulfill this task faultlessly, claiming air superiority for the Enforcers below. 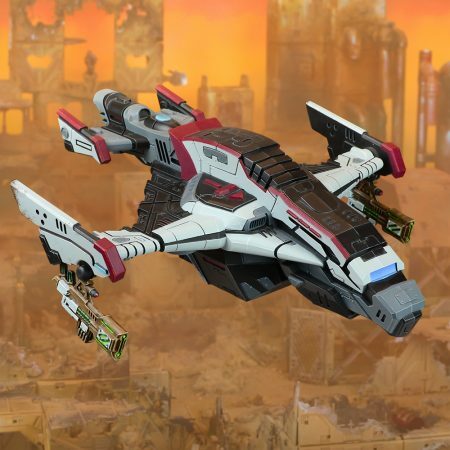 The Arbiter swaps the Accuser’s Burst Lasers in favour of twin Polaris Cannons, delivering a heavy punch against armoured targets in swift ground-to-air strikes few enemies can counter.